I shall now and forevermore refer to the empty lot where OneTen Westminster was supposed to be as where Mee Hong used to be. 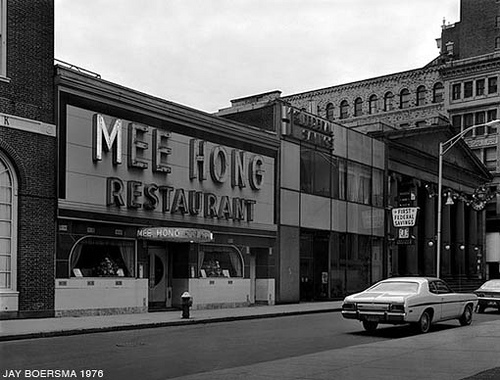 Via Providence Daily Dose I’ve learned that Heather Lee and J. Hogue over at Art In Ruins are compiling a history of Downtown Chinese Restaurants. Looks like a cool project. Head over to A.I.R. to contribute. My mom, who grew up in Olneyville, swore by Lukes. I had it as a small child, but don’t really remember all that well.